The Ultimate Toy of Wonders! The sophisticated design, state of the art mechanism, the maximum level of safety, and the smartest technology, Broon certainly deserves to be entitled the toy of wonders, Every aspect of Broon perfectly displays the identity of a real car. Not just a car, it is a supercar for your kids. They can be used with the remote control for infants, because the Bluetooth remote is far smoother than radio frequency, and no jerky movements. 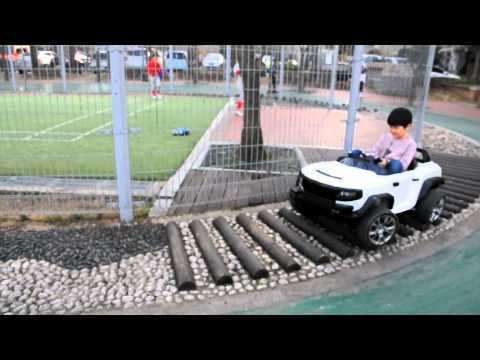 They go up to 8 years old with pedals used, depending on the size and weight of the child. * MP3 player interlocked with vehicle - email music / videos direct to car. * Doors, Bonnet and Boot (open/close) All panels and parts are replaceable. * Max Speed: Restricted to 8km/h, with slope control.